So how can you design a customer experience that has you talked about for decades to come? And how do you create highly successful marketing ideas? 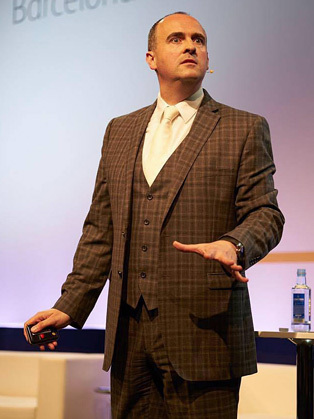 In his interactive keynotes, your audience will not only discover out-of-this-world ideas, they will come up with them and be excited to implement them too. He’s challenged and inspired entrepreneurs, companies and organisations across six continents to create award-winning ideas to outperform the competition. Choose from a TED style high impact 20 minutes through to a expertly crafted 90 minute keynote. Geoff will pick the very best and most relevant content for your audience from his extensive catalogue of stories, ideas and techniques. Follow up an inspiring keynote performance with a fully interactive master class. Whether it be 1 hour, half day or full day, Geoff will have everyone creating award winning Celebrity Service or OMG Moments. This deeper dive will also feature the ‘120 Challenge’ which will encourage everyone to look further, create better and consistently stand out from the competition.